ALPOLIC® is pleased to offer Lunch & Learn sessions at your company. These free, casual, non-sales events can be scheduled throughout the year at your convenience. Let us know which ones you’d like to host, and we’ll provide the rest. 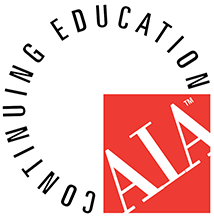 We currently have three AIA/CES Learning Units (HSW) from which to choose. Check them out below, then click to schedule one, two or all three! This presentation will cover a wide range of timely topics important to the Architect, Designer, and Specifier of contemporary interior and exterior metal panels. It will provide an overview of aluminum and metal composite materials as well address ACM’s attributes, basic design guidelines, attachment systems, specifications, and cost considerations. This presentation will cover a wide range of timely topics important to the Architect, Designer, and Specifier of anodized and natural metal composite panels. It will provide an overview of aluminum and metal composite panels, finish options, details of paint and resin systems, application methods, and weathering and durability tests. This presentation will cover a wide range of timely topics important to the Architect, Designer, and Specifier of anodized and natural metal composite panels. It will provide an overview of aluminum and metal composite materials, anodizing process, advantages and considerations of the available natural metal materials, and brief review of galvanic corrosion and warranties of natural metals.